We’ve all done it. We’ve all pressed the wrong key on the keyboard or the wrong button on the mouse and either accidentally pasted something into a document or deleted the whole lot. Now imagine the potential for disaster if your mouse gave you 18 buttons and a joystick to mess with! But fear not, the makers of the forthcoming Meta mouse reckon that if you can use a smartphone then you shouldn’t have too many problems navigating the world’s first multiple-function, multi-button application mouse. Inspired by the keyboards on Treo smartphones and originally designed for the gaming world, it quickly became apparent during development that all those buttons could be put to good use in an office suite environment too. WarMouse chose the popular Open Office suite to build its prototype around due to its usage tracking feature which permits commands to be assigned to mouse buttons based on “data gathered from more than 600 million actual mouse and keystroke commands enacted by users”. 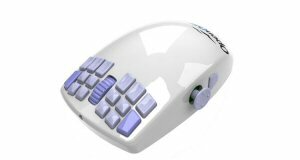 On the top of the WarMouse Meta can be found 16 programmable buttons and a clickable scroll wheel which will allow single-click scrolling of web pages or rapid switching between layers in image manipulation software for instance. On the side is another button and an Xbox 360-style analog joystick on the side which can be assigned up to 16 different commands, such as keys or macros. The joystick can be used for navigating around spreadsheets instead of arrow keys on a keyboard or to rotate 3D objects in a design suite and much, much more. All-in-all, WarMouse claims its multiple-buttoned monster puts 12 times more functionality at your fingertips than the conventional two-buttoned variety. 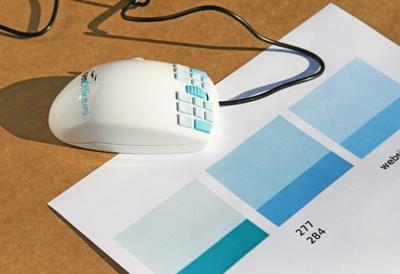 Originally dubbed the OpenOffice mouse you’d be forgiven for assuming that it is therefore limited to just one suite but in fact at least another 25 games and applications will initially benefit from its useful functionality, including Microsoft Office 2007, Adobe Photoshop, Mozilla Firefox, World of Warcraft, Call of Duty: Modern Warfare 2 and World at War, The Sims 3 and Starcraft. Up to 63 gaming or application profiles can be stored simultaneously on the mouse’s 512k of internal memory which allows for the import and export of custom profiles in XML format. Smaller than both a Microsoft Sidewinder X5 and a Logitech G9, the WarMouse Meta will be available in February 2010 for $74.99 (pre-ordering will be available from January 15th). The company has announced that it will be available in dark blue/red and will now benefit from a 5600-cpi laser sensor instead of the previously announced optical variety. Its Windows, Linux and Mac compatible software will be released under an open source GPL sometime in January, allowing developers to invent even more ways to make the most of a user’s digital dexterity. If you need the latest news or want to know what’s next in the WarMouse arsenal – check out the company’s blog. 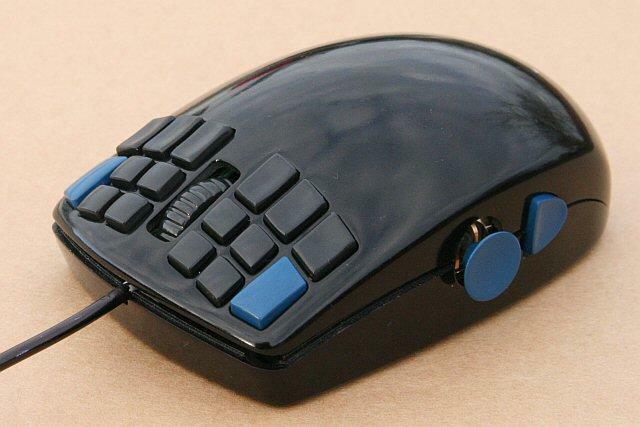 Do you see this “18-button freak” (as the company has called it) of a mouse being any use to you? Is this a document distaster or a gaming catastrophe waiting to happen? Or is it a must-have, essential office aid or your secret weapon for destroying opponents? Feel free to share your thoughts.